FREE Monster Java Energy Drink at Thorntons! 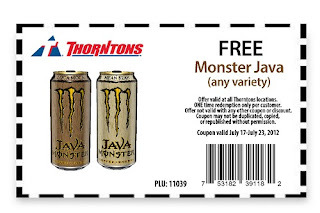 Bring this coupon to your local Thorntons store to get a free can of Monster Java Energy Drink! Expires 7/23/12.